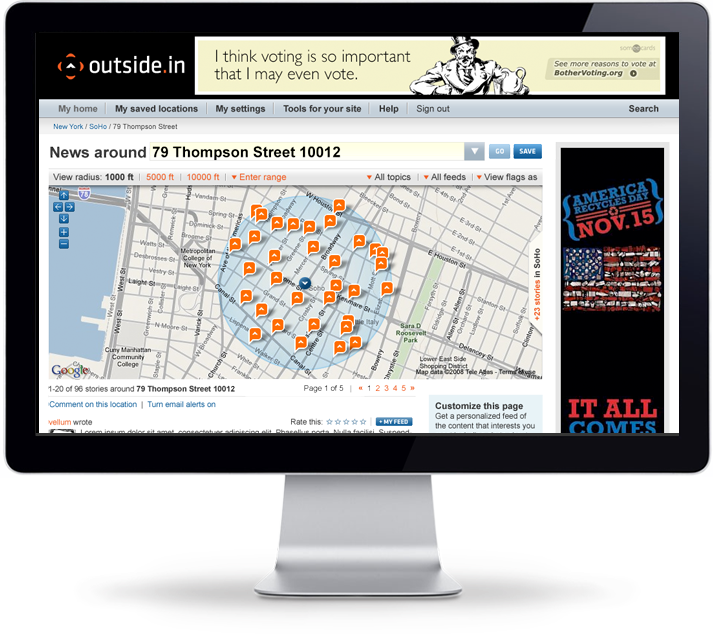 Outside.in, a hyperlocal news aggregator, invited me join them as a design consultant to update the visual design of the website and to develop features to engage their users and community. Working with a small team of developers, we introduced improvements to the site, including improved map interactions and integrated discussions into the news stream along with a streamlined design to better feature the aggregated content. Additionally, I worked with the developers to redesign the Outside.in iPhone app to reflect the new visual design and interaction improvements. As the business changed, I also designed and helped develop an online application to allow media partners to curate Outside.in's aggregated content for use on their own sites through widgets associated with the partner toolkit. 226 is the design portfolio of Eugene Kuo. Download a resume.